The deadliest year in over a decade for commercial fishers has the Transportation and Safety Board of Canada sounding the alarm about the industry's "disturbing safety record." 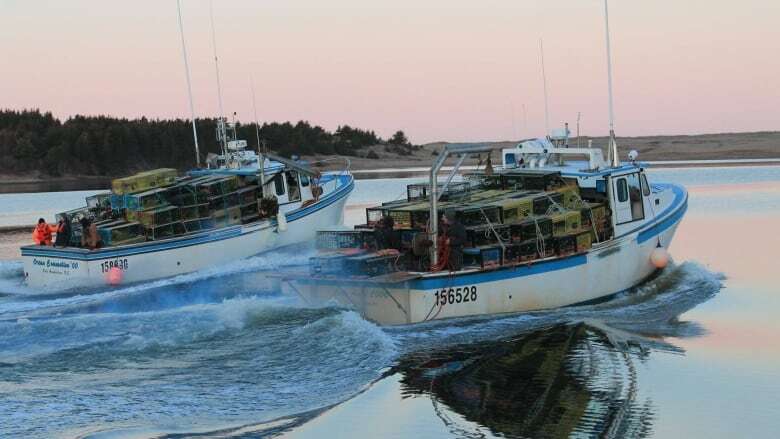 The deadliest year in over a decade for commercial fishermen has the Transportation Safety Board of Canada sounding the alarm over what it calls the industry's "disturbing safety record." 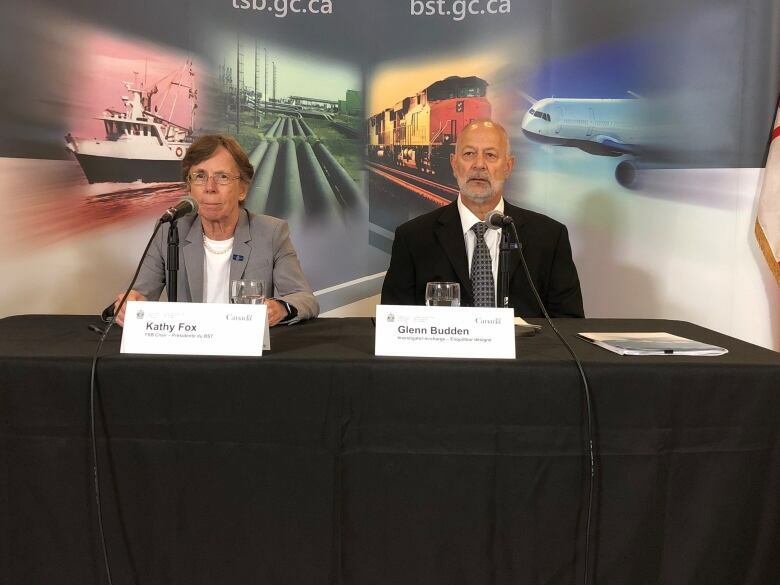 "The industry's safety culture still has a long way to go before its members stop accepting more risk than is necessary," the board's chair, Kathy Fox, told a news conference in Gatineau, Que. In addition to fishing safety, the independent agency's yearly report also calls attention to railway sign safety and runway safety at Canadian airports. While safety measures have been recommended and implemented over the years in commercial fisheries, the board said it's disappointed with the lack of results. "Why? Because while more and more fish harvesters recognize the value of wearing a life-jacket or using an emergency signalling device, there are still many who don't," said Fox. Of the 63 fishing vessel deaths between 2011 and 2017, almost 43 per cent were due to a crew member falling overboard and 35 per cent blamed on the stability of the vessel. The board said in about 80 per cent of those 63 deaths, the use of a PFD "could not be ascertained" and in 44 per cent, emergency signals weren't received by authorities. The report said a major hazard — whether it's on the sea, in the air or by rail — is employee fatigue. "Pervasive, especially in a 24/7 industry where crews can work long and irregular schedules across multiple time zones, fatigue has been found to be a risk or contributing factor in more than 90 TSB investigations since 1992," the board said in a news release. Leonard Leblanc, president of the Fisheries Safety Association of Nova Scotia, said it boggles his mind that the message to wear PFDs still isn't getting through to a small number of fishermen. So far this year, seven fishermen have died in Nova Scotia — deaths Leblanc believes could have been prevented. That's why he says the time for education is done. He wants better enforcement for those who break the rules. "We've done our share. We've educated as much as we can and the only step that we haven't done is to have the provincial government proceed with fines," said Leblanc, a retired fisherman from Chéticamp, N.S. Leblanc said his association has met with the provincial Labour Department and asked officials to step up their presence on wharves when fishing season starts. Leblanc said he agrees with many of the recommendations Watchlist 2018 puts forward to keep fishermen safe. They come about a year after Transport Canada released updated safety regulations for fishing vessels. That federal and provincial authorities work together to co-ordinate regulatory oversight of commercial fisheries. That Transport Canada release user-friendly guidelines on vessel stability. That harvesters adopt these new guidelines and the 2017 Fishing Vessel Safety Regulations and that it results in changes. That there is evidence that harvesters have changed their behaviours around "flotation devices, immersion suits, emergency signaling devices, and safe work practices." But Fox said the board is tired of recommending changes that are not implemented. "There are dozens of TSB recommendations that have been active for over a decade without a fully satisfactory response," she said. Leblanc, too, is frustrated that some fishermen don't seem to be listening. But he insists that safety is improving, even if 2018 has been a particularly deadly year. In fact, in the last decade, Leblanc said commercial fishing companies in Nova Scotia have spent far less on workplace injury insurance. He said fewer accidents mean assessment rates for employers have dropped by 40 per cent. "This is a bad year, but it's a year that reminds us that the work of promoting safety is never over," he said. "A life is precious, it's priceless, and to me, that should be the first thing that should happen on a vessel. It should be safety first, and money after. Some tend to have money first and safety after."